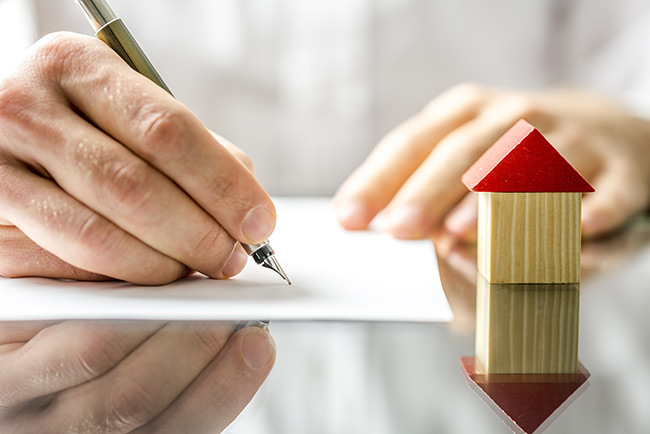 Even the most seasoned of property owners can find the process of buying a home to be extremely stressful, especially when it comes to deciding on the type of mortgage that will be the most suitable for them. If you’re in the process of buying a property, the five mortgages listed below are among the most popular options to consider. Many property buyers choose to apply for these mortgages or home loans because they are one of the easiest to obtain. One of the main advantages they offer is the fact that they are fixed-rate loans, meaning that buyers are able to budget well in advance to cover the repayments. In many cases, it is possible to pay down extra towards the principal loan amount as well, thus shortening the repayment period. A minimum deposit of 5% of the cost of the loan will be needed to secure most conventional mortgages. Buyers who would like to consolidate other consumer debt that have incurred into a single lump sum payment will benefit greatly from applying for a home equity loan (also known as a second mortgage). This will enable them to budget more accurately and in most cases, it will help lower the amount of money they have to pay out each month. In some cases, it is possible for buyers to borrow up to 85% of the equity in their home when using these loans. Buyers who are purchasing in eligible rural areas in or around Philly can sometimes qualify for a loan from the USDA. Not only do these loans offer fixed term repayments; in most cases, buyers will also not have to put down any type of down payment or deposit beforehand either. Qualifying buyers will receive a loan for 100% of the cost of the property that is being purchased. These home loans are issued directly by the Federal Housing Authority (FHA) and as a result, they are also offered with fixed interest rates. In order to qualify for these loans, buyers will have to be able to put down a minimum deposit of 3.5% of the cost of the loan. These loans work like a credit card or other line of credit in that they enable home buyers to borrow up to a specified amount for the life of the loan itself. The time limit is set by the lender, and during the predetermined time frame, buyers are able to withdraw cash from their home equity at any time that it is needed. As the principal amount is repaid, the credit line becomes available to be used again. Before signing for any home loans, potential buyers should ensure that they have performed as much research as possible to ensure that they will be able to comfortably afford their monthly repayments without having to make sacrifices elsewhere in their budgets. It is also essential to deal only with lenders or mortgage companies who are registered and that have a good reputation in the industry. This entry was posted in Blog and tagged mortgage types by Scott Li. Bookmark the permalink.